India captain Virat Kohli said on Tuesday (Jan 22) he was "very very happy" after becoming the first-ever player to clinch all three top honours, including cricketer of the year, in the International Cricket Council awards. He was the top Test and ODI batsman in 2018, scoring 1,322 Test runs at an average of 55.08 - including five centuries - and 1,202 runs at 133.55 in ODIs, with six centuries. 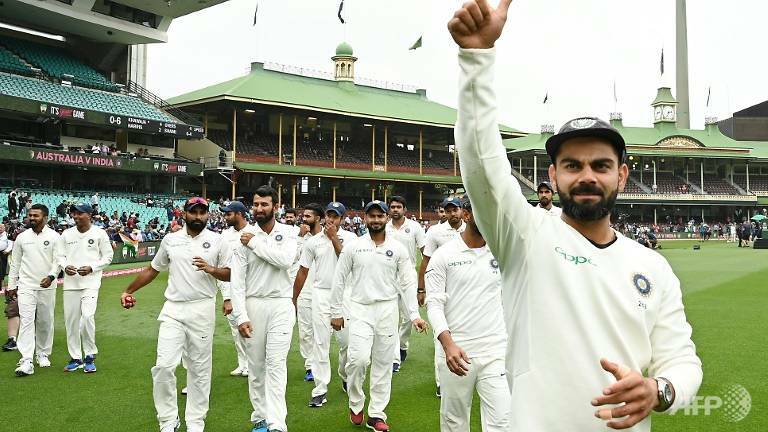 Kohli became only the second player after Australian great Ricky Ponting to retain the prestigious Sir Garfield Sobers Trophy - given to the cricketer of the year. Australia opener Aaron Finch won the T20 performance of the year award for the second time for his 172 - the highest-ever individual T20 score - against Zimbabwe in Harare last July.